Thermometer showing if water temperature is ideal for bathing, too cold or too hot. 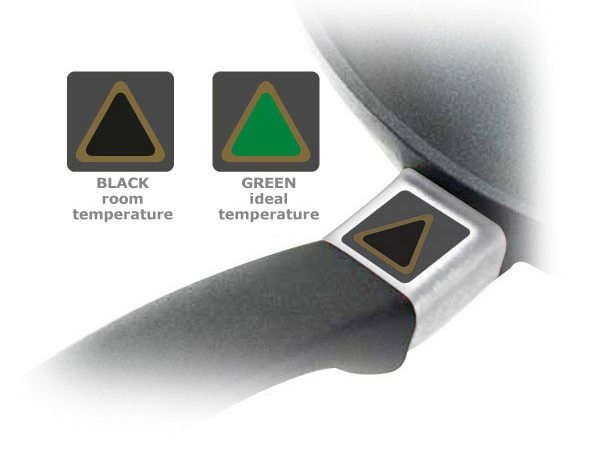 This indicator gets green when the oil temperature is right to start frying. Termometro da applicare al contenitore di raccolta delle urine per avere la conferma che il campione di urina è appena stato raccolto. 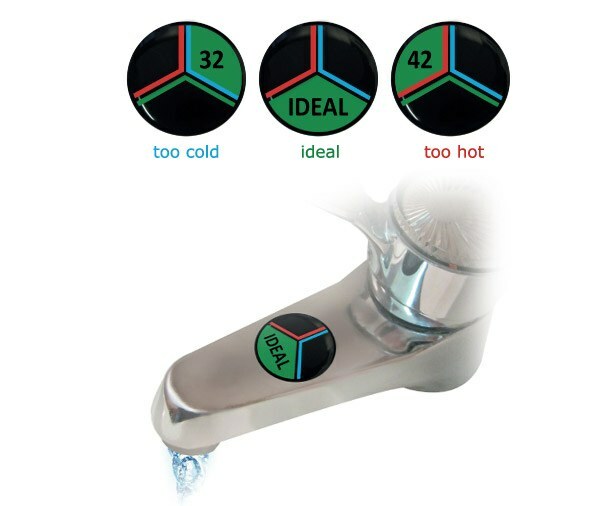 This indicator has to be applied to the bowl which needs to be cooled inside the freezer. 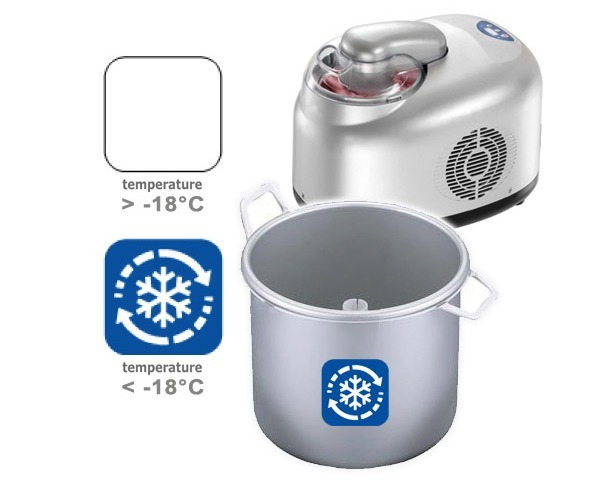 It shows when the right temperature is achieved and it is possible to start making the ice-cream. 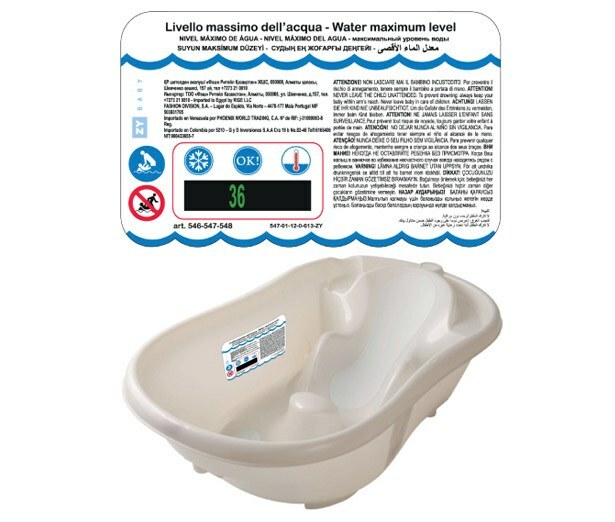 It shows the water temperature, to avoid energy wastes. 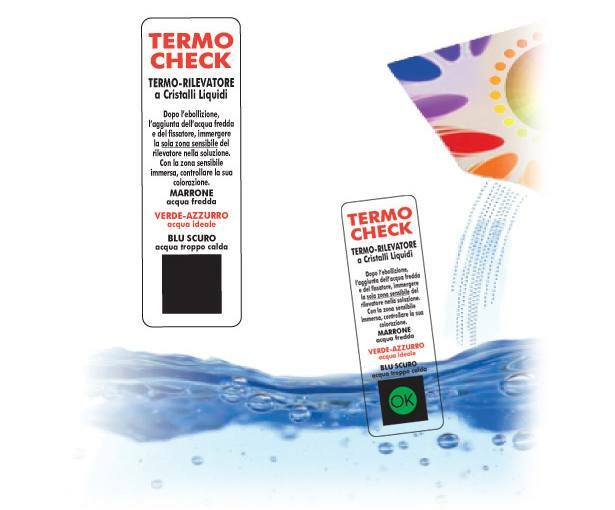 This thermometer shows when the water reaches 80°C, ideal temperature to dissolve dye and obtain an homogeneous fabric dyeing. 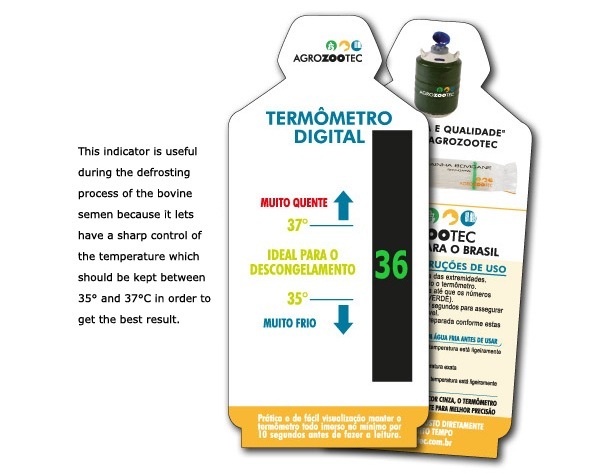 Thermometers to check the right temperature in the process of animals artificial insemination. 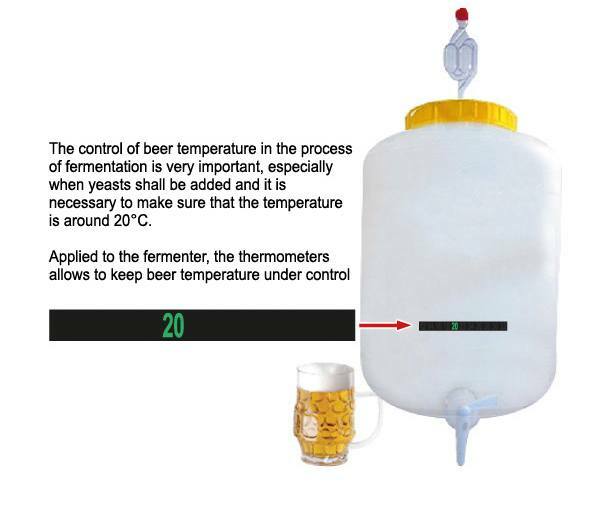 This thermometers is necessary to control the right fermentation temperature of homemade beer. 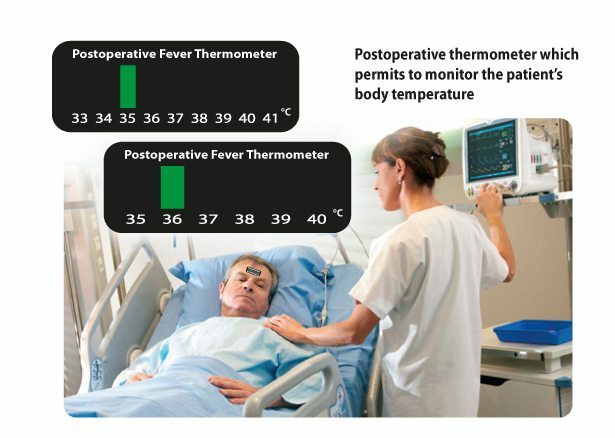 These thermometers allow to monitor patients body temperature during the post operative phase. 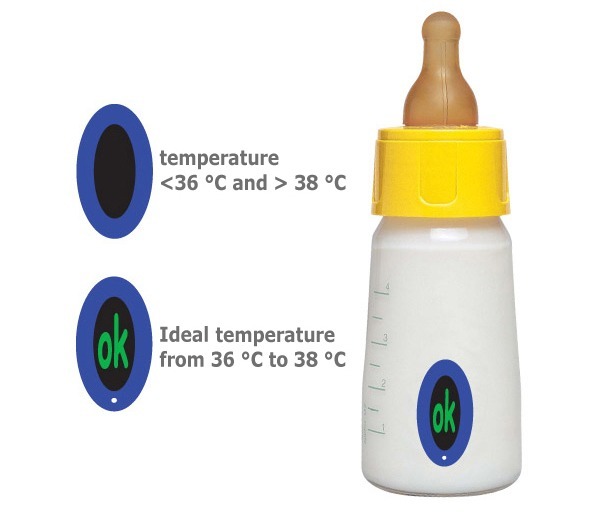 The OK symbol appears when the temperature is ideal for feeding, and prevents burning. It shows if the plate has reached the right temperature to start grilling. 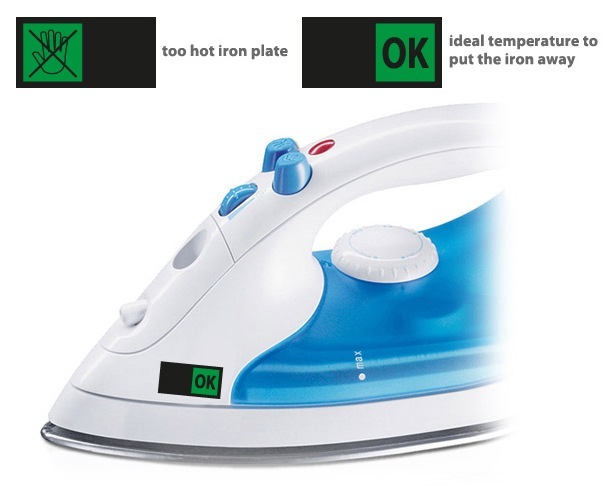 After ironing, this indicator shows when the temperature is OK to put the iron away without any risk of burning or accidental combustions. 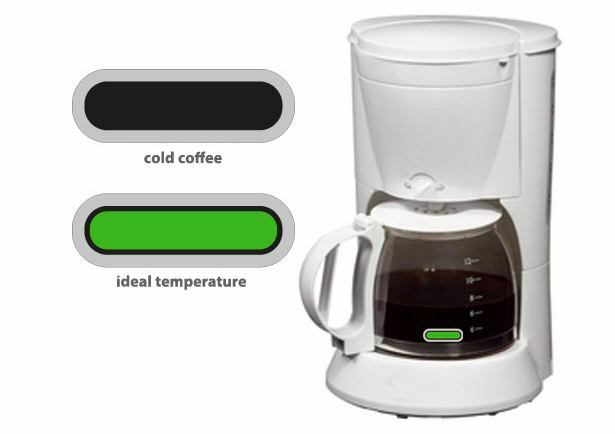 Applied to the carafe, this indicator shows if the coffee temperature is right or if you’d rather warm it up. We have been producing, since 1976 , thermometers destined to various industrial applications. 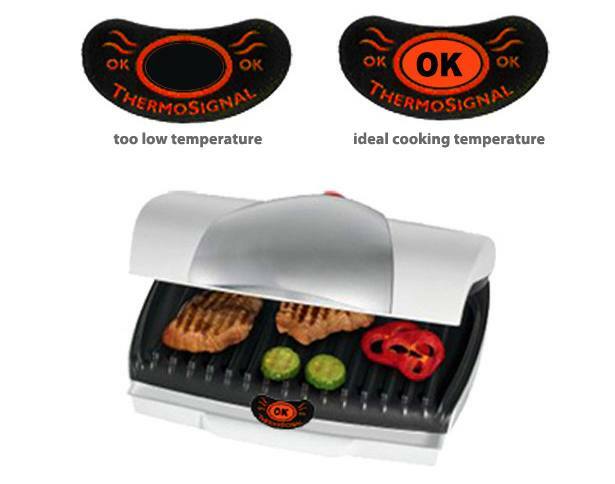 They come in form of self-adhesive labels and can be applied to different products to alert that a prefixed temperature, optimal or critical, has been achieved. 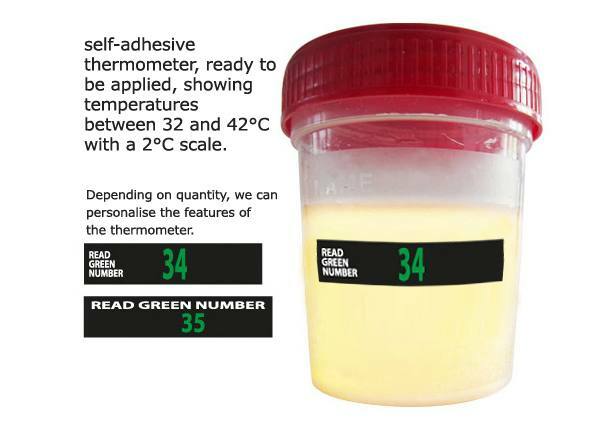 Mercury-free thermometers are non toxic, unbreakable, reusable, customisable in their shape, dimensions, temperatures and design. They can accomplish a necessary function or just help you to distinguish from your competitors. 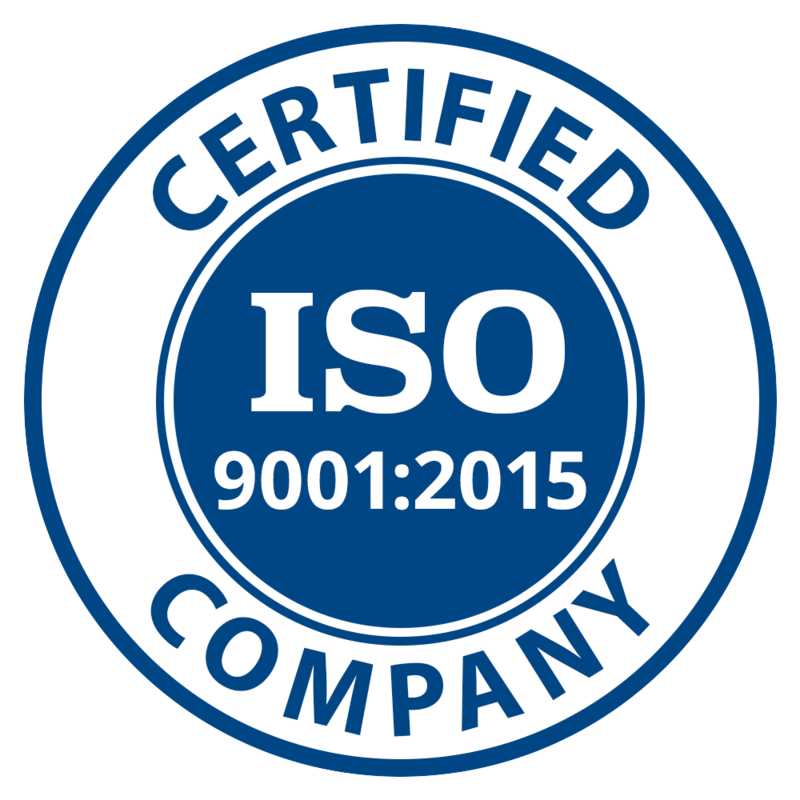 Our Research & Development division is always at your disposal to study new products and applications following customers’ needs.